The ultimate in air compressors, the Mi-T-M Series comes complete with all available options to meet the most demanding industrial air needs. 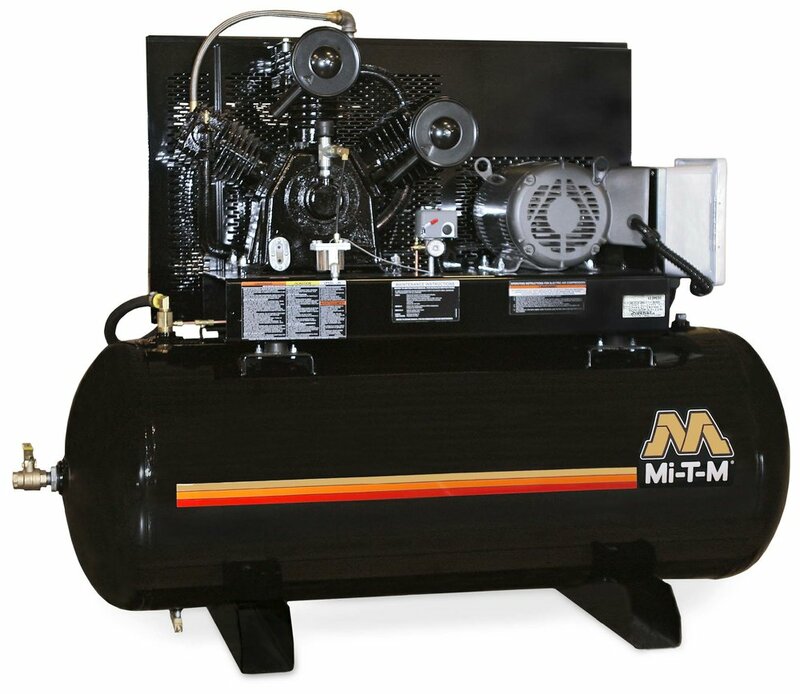 Mi-T-M began manufacturing portable air compressors in 1999 as an extension of their existing high quality industrial and contractor-grade equipment. The ultimate in air compressors, the Mi-T-M Series comes complete with all available options to meet the most demanding industrial air needs. Available with either a horizontal or vertical tank and multiple industrial low RPM motor configurations. 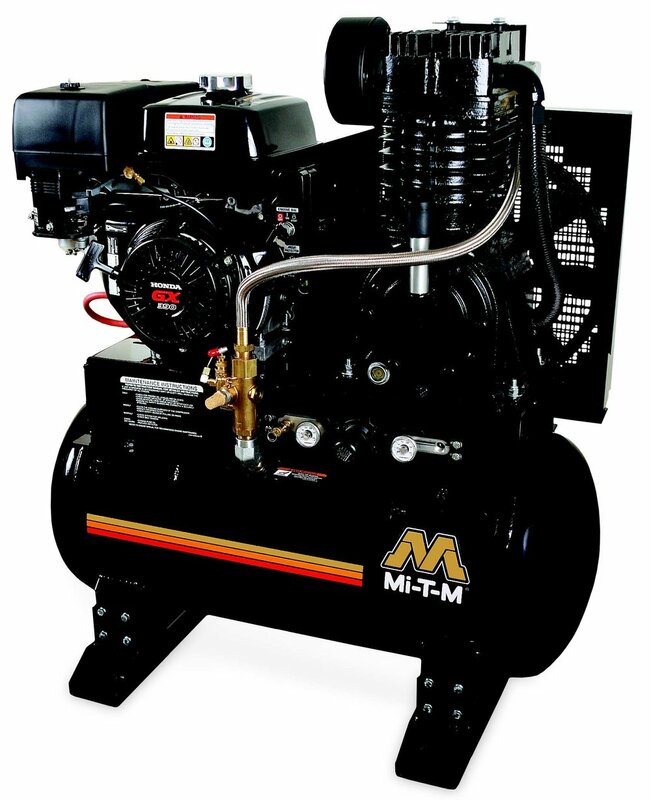 Today, Mi-T-M manufactures over 30 models of air compressors giving customers a choice from electric or gasoline, single-stage or two-stage, and portable or stationary. Interested in learning more? Please call (520) 790-7120 or simply send us an email. 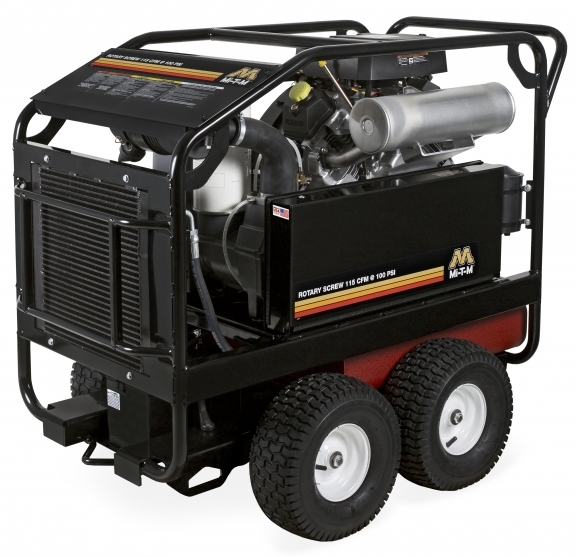 The 30-gallon air compressor/generator conveniently fits on the back of a truck and supplies power to run air and electrical tools, perfect for the most remote jobs. Save space, save money and reduce load capacity with this combination unit. a 90 pound breaker! Widely used on a variety of construction sites to run multiple air tools. The ultimate in air compressors, the M Series comes complete with all available options to meet the most demanding industrial air needs. Available with either a horizontal or vertical tank and multiple industrial low RPM motor configurations.